with kind permision by TripAdvisor. As I have admitted I have a special relation to Italian food. Il Buco however was a really good experience. We were recommended this restaurant by our Norwegian friends, that was a double edged thing. The first visit was at lunch together with our Norwegian friends. We were received like royalties and were placed in the Norwegian room with a glass of spumante while they fixed a table in the already full restaurant. 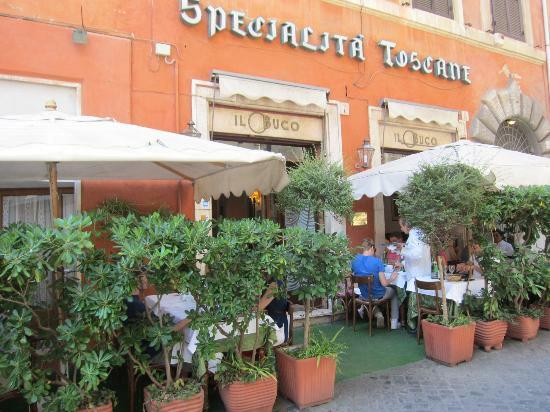 We heard that the restaurant is a place where the Norwegian expats in Rome goes – especially those with resources and taste for good food. The habit among them were to let the restaurant choose what to eat. It was a good choice when it came to taste. We got salad on fresh mushrooms that was delicious which was followed by three small pasta dishes generously sprinkled with white truffles. The wine was a well matured local Lazio wine. As it was a late lunch we settled for these to dishes and promised to come back for dinner. The bill was however a small surprise. They had served us the most expensive of everything and I must say 60 euros for two small dishes and wine for lunch is a little too much for us. Now I understood why they were talking so much about how rich Norwegian people are. At dinner we – Englishmen and us from Sweden - decided to choose from the menu and the Norwegians followed our example. The bill was much more reasonable and the food as good as at lunch. We also made it absolutely clear to the patron – an absolutely charming man – that some of us were ”poor people” from England and Sweden and not stinking rich people from Norway. Round the table we had sea-bass, rabbit, Ginny foul, veal and a few other things – all delicious. The wine, for a reasonable prize was even better than the one from lunch. A funny thing was that the waiter looked like a twin to Sylvester Stallone and he had even put his voice and accent exactly like Rocky’s. It does not take long to go to Rome from Languedoc. I must admit I am not the greatest fan of Italian food. My main complaint is that you are supposed to fill you up with a enormous plate with pasta from start so you can not enjoy the more subtle delicatessen of Italian food. The second problem I have is the habit of cooking good meat until it is grey and totally dry. 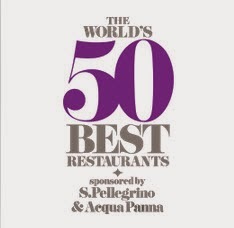 So – admitted that you must understand that the restaurants I recommend are really good – according to my taste. 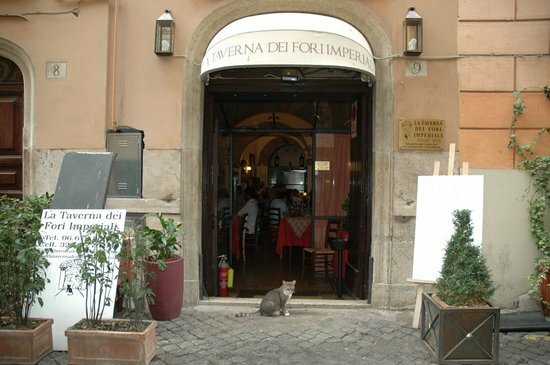 The restaurant La Taverna dei Fori Imperiali is located on a little parallel street to Via Cavour, just a few steps from Forum Romanum. It is very typical Italian. We were seven people of three nationalities and we were all very satisfied with the food. We actually went there two times and both times I had very good pasta for starter, which I surprisingly finished as it was not enormous. My main course was something extra the first visit. It was wild bore with a sauce with blueberries and juniper – delicious. Next time I had the chef's special meat-loaf that was really good. I heard from my wife that the chocolate desert was lovely and my Baba Rum was very good as the pear-desert I had the second time. The environment is very genuine and the service friendly and professional. The second time we were attended by the chef himself, which was very nice. 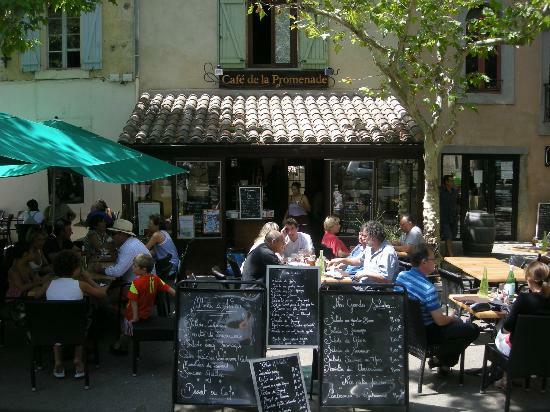 La Cité in Carcassonne is full of restaurants, but quite a few are not really worth the prize. There are however some who are very good. We found one the other day – La Courtine. 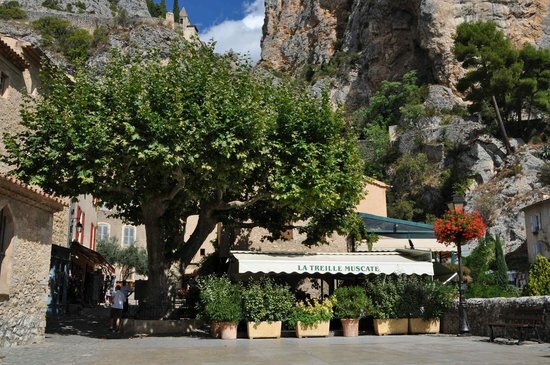 It is situated in the corner of Place Marcou, there you find lots of restaurants, most of them not worth a visit. As we had our grand-children with us we were looking for a restaurant where they served spaghetti- This Italian restaurant did so. Ourselves we had their menu of the day and it was a good choice. The meat was tender and cooked to our liking and the chips and the salad was perfect. The dessert of the day was delicious. My wife however took a cheese-platter and I had café gourmande. The cheese was of very good quality which is not very common on less expensive menus. The restaurant also had pizzas which they had earned a prize for. We might try that next time. The service was nice and friendly. The bill was however a small chock. They had added 16 euros together for my upgrade of dessert and my wife’s cheese. When we pointed it out they corrected it and gave us 10 euros back. It was probably a mistake this time, but it is too often in the summer that such mistakes happens to tourists. They might not think tourists are observant enough or do not master French enough to complain. 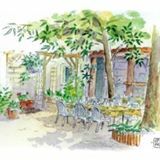 There are quite a few restaurants in Pézenas' Historic Centre, but the quality is uneven and it is mostly difficult to get a table during summer. A little more than 100 meters from Centre Historique on the main street we found Restaurant Le Pré St Jean- a gourmet restaurant with reasonable prizes. It was a very pleasant experience - the food was excellent and the service friendly and correct. We all had fish dishes that were delicious. 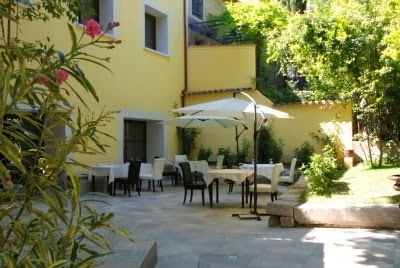 The interior of the restaurant is pleasant and has a more formal style than most restaurants in the Historic Centre. This will certainly be a favourite when we go to Pézenas. Revisited January 2014: This time we had meat. Starter was with quail and main dish was guinea fowl. Both were delicious. This is turning into a real favourite restaurant. Revisited April 2014: A simple but delicious two-course lunch this time and a glass of wine each. We both had quail for starters and I had rabbit and my wife veal as main course. 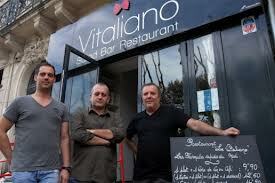 It was perfect and we feel that we can give this restaurant a hart even if we have been there just three times. The only little mistake was that my wife got a little jar with cold milk with her cafe noisette. Revisited June 2014: We visited the restaurant with our friends from Norway. As always the food was lovely and the service perfect. We had a bottle of the fantastic rosé wine from Mas Jullien made by the famous vine-maker Olivier Jullien. The wine comes from north part of Herault and is an AOP Terrasses du Larzac. Very few restaurants serve the wine so we can 't resist it when we have the opportunity.